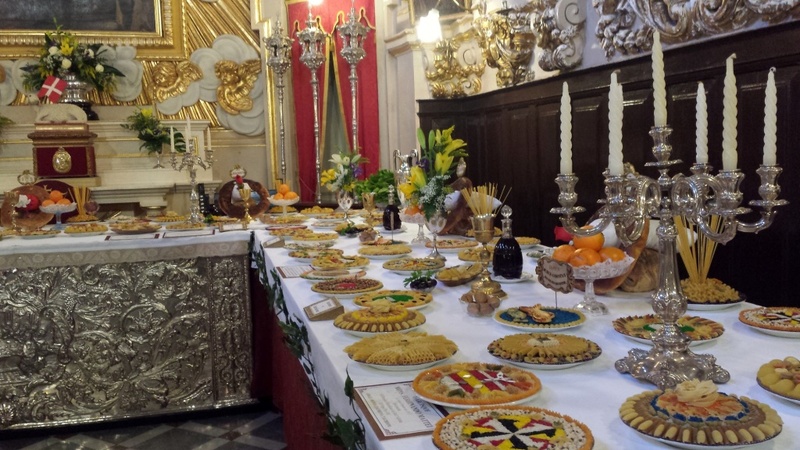 Last Supper displays are common in almost every town and village during Holy Week but the exhibition at St. Dominic’s Priory, tucked away in St Dominic Street, Valletta is special in a number of ways. Ivan Grixtri, a man who is passionate about the exhibition, the priory and the table, explains that it is the oldest Apostles’ table in Malta which is what makes it unique. The Good Friday display is not the only thing worthy of interest. The place itself is magical and acts as a site of time travel with its Baroque architecture and the historical artefacts it houses. It is during this time that the priory’s huge green door is open, inviting you to step inside and discover further. “The Confraternity of the Blessed Sacrament was built just 10 years after the end of the Great Siege, making it a historical site in its own right,” explains Grixti, a feature that attracts many people to walk through its doors. “Even art critics agree that its architecture is one of the most captivating,” he adds. The interior of the Oratory of the Confraternity of the Blessed Sacrament is truly breathtaking. Its walls are adorned with paintings, statues and intricate gold designs which captivate anyone who lays eyes on them. The ‘Last Supper Display’ itself is spectacular, decorated with candelabras, chalices and various colourful dishes accompanied by the name of the Apostle who sits in that place at the table. Standing prominently in the centre of the room is the depiction of The Lord distributing the Holy Communion to His Apostles, painted by none other than renowned Italian artist Mattia Preti. The painting is framed and surrounded by stunning gold angels, stone clouds and the Sacrament standing proud atop the art piece. 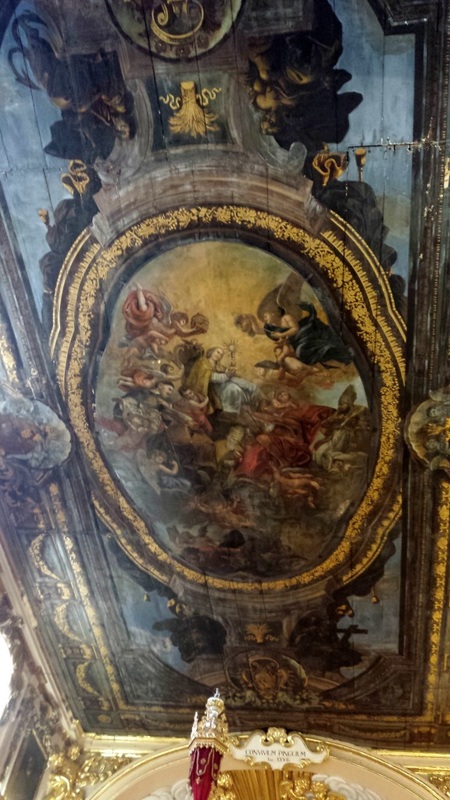 The wooden ceiling, beautifully painted in 1711 by Alessio Erardi and depicting angels and the Sacrament, leaves a lasting impression on anyone who enters the hall. The oratory also houses artefacts linked to the Order of the Knights of Saint John and Valletta’s history such as is-suġġetta (the sedan chair) which belonged to the Order’s Grand Prior Fra. Bartolomeo Rull and which was later inherited by Grand Master Pinto. The oratory also contains the Virtu flag which dates back to 1734 and the glazed linen liturgical umbrella, a tool which was used during the plague by Domincan Fathers to administer the Holy Sacrament to the sick and dying. The Last Supper Display during Holy Week not only gives visitors insight into Maltese Easter traditions, but it also contains relics from Valletta’s history. It is an attraction for anyone curious about magnificent artefacts and snippets of history safely conserved inside the city’s buildings and walls. These magical places and the treasures they house further contribute to our understanding of our Maltese identity and heritage. It provides us with snapshots of history and our way of life which we might not have learned during history lessons. It gives us the opportunity to travel back in time and, for a brief moment, take in the Malta and the Valletta of that period. For some, like Grixti, the Oratory of the Confraternity of the Blessed Sacrament is not only a historical site, but also a place they are drawn to like a second home. Grixtri’s grandfather, who was from Valletta, used to be the sacristan and when he fell ill, Grixti and his brother used to visit their grandparents with their mother. 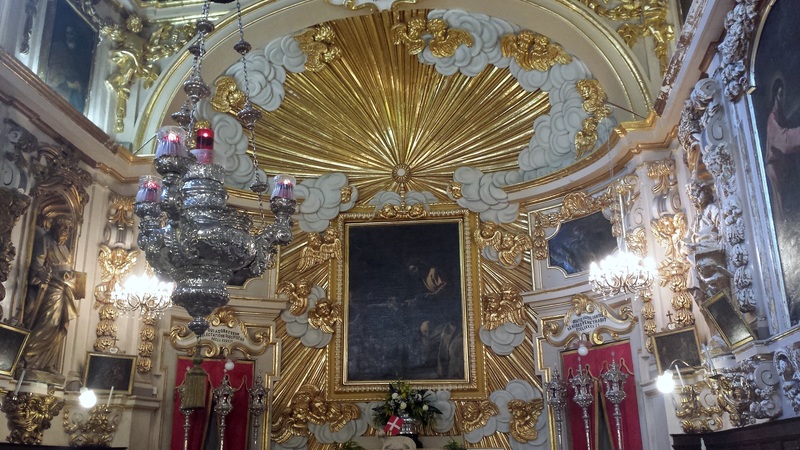 During that time, Grixti used to accompany his cousins to the Dominican church to help them decorate and this is where his love story with this side of Valletta started. This site of time not only tells us about our past and our identity, but it also tells the story of the community who actively takes part in its maintenance and the events that revolve around it. What does time have in store for such a historical place? Well, Grixti has already passed down his passion to his sons, with his oldest already being quite invested in the place, so my guess is it will continue to be looked after for years and generations to come by those who hold it close to their hearts. These people will continue to preserve this time travelling site with their love and devotion. The Oratory of the Confraternity of the Blessed Sacrament, St Dominic’s Priory is in St Dominic Street, Valletta and is open to the public for the duration of Holy Week till Good Friday.